Lady Lamb The Beekeeper On World Cafe : World Cafe Singer-songwriter Aly Spaltro wrote most of the songs on her debut album, Ripley Pine, while working at a DVD store in Portland, Maine. Here, she plays songs from the album and discusses breaking into music. Lady Lamb the Beekeeper, a.k.a. Aly Spaltro. 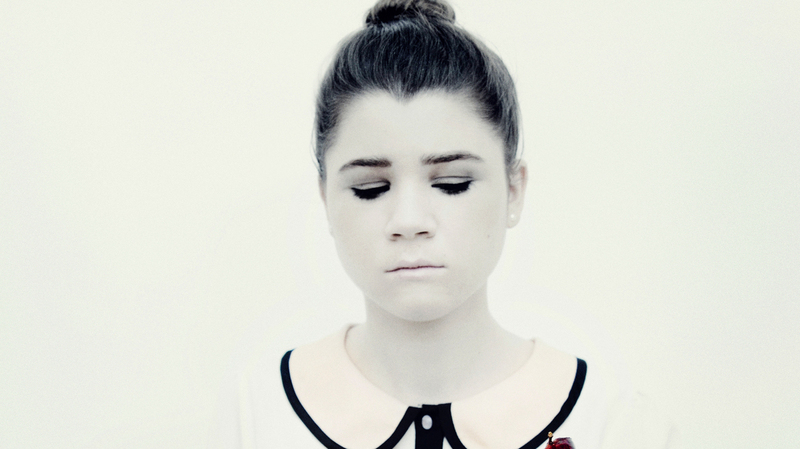 "Heir To The Ferris Wheel"
The name Lady Lamb the Beekeeper came to singer-songwriter Aly Spaltro in a dream. When the Maine native emerged from the DVD-store basement where she'd been experimenting with music for several years, her friends responded positively. She soon moved to Brooklyn, where those original songs were re-worked for her debut album, Ripley Pine, released this past February. Here, Spaltro discusses how the songs developed beyond what she'd originally imagined on her own. That slow emergence has allowed her art to evolve, as you'll hear in this session. She even plays a song that didn't make it onto Ripley Pine.